Ever wondered how to copyright kopitiam so that no one else would ever use it except you? Easy. Go and file your suit in Indonesia. Ok, that was sweeping. But at least others won't be using the term in any business venture there. The Chinese word kopitiam is kedai kopi in Malay or coffee shop as what we would understand it all the world over. So, if you can copyright kopitiam then there's no stopping you from asking people to stop using 'bread' as in iBread, Nasi Kandar, or 'cloud' as in iCloud. I will name my coffee shop Kota Kinabalu Nasi Kandar and claimed intellectual property rights over that very words. I remember when cloud computing was making its way into the IT world, IT giant Apple was said to buy iCloud domain from a Sweden company for $4.5mil, although the company declined to confirm the accuracy of the price. I am now thinking about patenting 'anything' and call it iAnything so that the next time I see you using that word I could file a suit for $4.5mil. Of course you can do anything to you like with it, continue using it and I would not be able to anything to get anything from it. If you are in Malaysia and Singapore though, try copyrighting Kedai Kopi instead, as patenting kopitiam does not work there. If you are in New York, try visiting Malaysia Kopitiam there. 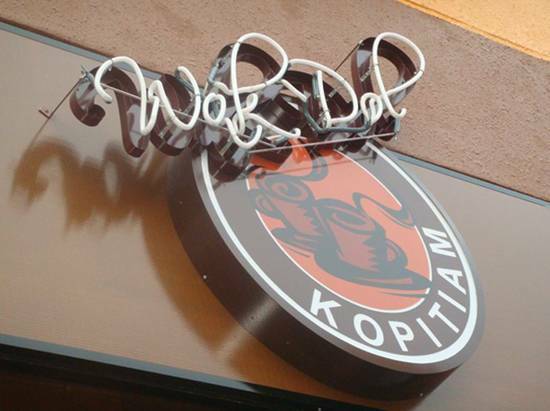 JAKARTA: The Indonesian courts have ruled in favour of a local restaurateur who claimed intellectual property rights over the word "kopitiam" - a Chinese word which means coffee shop. The Jakarta Post ran a story today that in 2010, Abdul Alek Soelystio, the owner of Jakarta-based "Kopitiam", had sued "Kok Tong Kopitiam" in the Medan Administrative Court for using the word and won the case. Abdul claimed he had registered intellectual property rights to "kopitiam" in 1996. Unhappy with the outcome, "Kok Tong Kopitiam" owner Paimin Halim appealed to the Supreme Court, but the lower court's decision was merely upheld.The report said, Abdul took out an advertisement in a national newspaper on Feb 6 this year warning other restaurateurs to immediately drop "kopitiam" from their brand identities. Abdul's lawyers said that whoever used kopitiam could be charged with piracy. The Intellectual Property Law provides for up to seven years' imprisonment for those convicted of intellectual piracy, although in practice violators are seldom sentenced to more than several months.Indonesia Kopitiam Association chairman Mulyadi Praminta described the rulings in favour of Abdul as ridiculous. "There was a similar case in Singapore. A company tried to copyright kopitiam as its own, but the government there rejected the request. It is shocking that we have a contradictory situation here," he remarked.Mulyadi felt that the government should support the restaurant industry instead of providing special treatment to certain parties. "The local industry deserves support from the government. We hire many people, we use local products, including coffee beans," he added. Meanwhile Bondan Winarno, Indonesia's most famous gastronome and owner of the "Kopitiam Oey" chain, asserted over the weekend that no one should be allowed to copyright the word. Different country, different usage, controls and thinking. Once I saw "BLOG" as a Cafe. hye bro!owh saya ada baca baru2 ni kat malay paper.hurmm...kopitiam tu rasanya blh digunakan utk semua pemilik kedai,kan? some of the laws that we think as pelik are absolutely okay at other places.